"The Rebel 30. There are no words to describe the tones that come out of this amp. They're everything from glassy to earth shattering. People that know me identify me by my tone as well as my style. 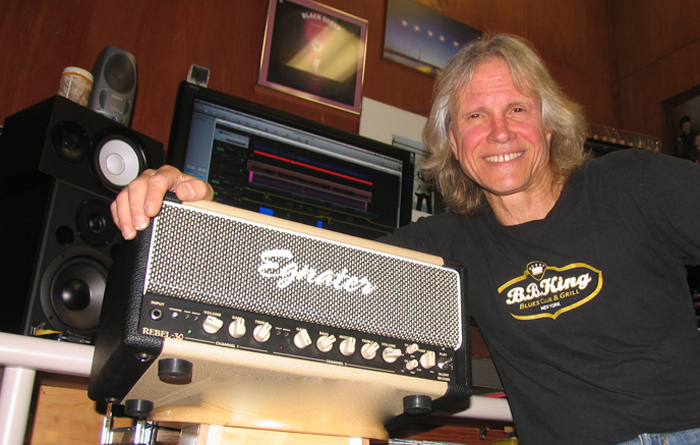 Egnater gives me the ability to deliver both onstage and in the studio." Over the years Mancuso has worked with a host of other artists including Imaginary Few, Johnny Smoke, The Park Ave Band, Linda Rutherford & Celtic Fire, Steve Robb, Red Heart, Jessica Hamilton and Regi Hendrix to name a few. 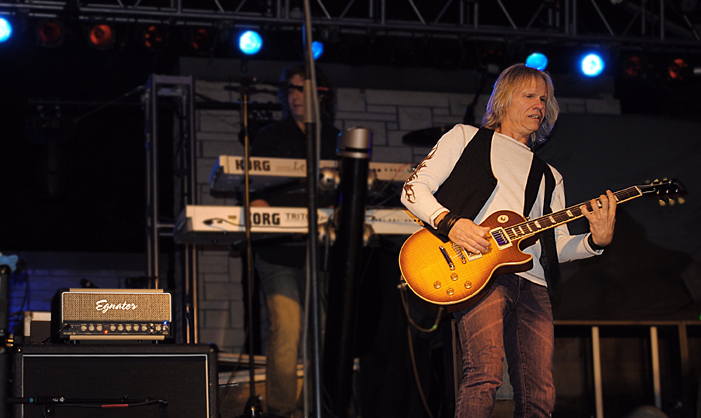 Presently Mancuso divides his time between service as the guitarist in The Lou Gramm Band and work on his solo endeavors. His first solo album, Now You See It, was followed up by DDrive, which featured the talents of Gramm, Phil Naro, Bobby Bond, John Taylor and Mike Gladstone. Middle featured the nucleus of Mancuso, Naro and Knoll. Gramm lent his voice to background vocals at Mancuso’s request. Originally a self-published effort, Straight up the Middle, drew the attention of GFI Records and subsequently was released on the label in July 2007. An HD Video was also released for the song "Pray For Tomorrow", which can be viewed on You Tube. DDrive released the next effort "3D" in 2010 featuring all 3D art and glasses with the package. It recieved rave reviews and featured Billy Sheehan (David Lee Roth, Mr Big) on bass for the song Dig Down. Since then The Lou Gramm Band has released a Christian Rock release containing 5 songs on the North American release and 7 including bonus tracks for the European and Asian markets featuring Don's music. Don has just released his third solo venture of an all original, instrumental EP titled "No Strings Attached" for Melodic Revolutions Records. It features Don on guitar and bass as well as Mark Shulman & Bobby Bond on drums. AD Zimmer and Dave Quick on bass.